Do you ever get those ‘aha’ moments? You know, those all-too-rare times when everything just seems to click. There is this moment of clarity where all you can see is the idea, solution or way forward when previously it’s just been a mucky, murky, mess. I’m sure you know these moments but just in case, here’s one of my favourite ‘aha’ moments and scenes from The Office. … Steven Johnson explains how a ‘eureka’ moment, similar to our creativity, is not a thunderbolt of lightning that happened to strike but rather the last connection in an expansive network of ideas that coalesce and build off each other over time in his ‘slow hunch’ theory. Regardless of how it happens, I love it when it does happen and it happened to me recently. I was reading NextAfter’s Turning Likes Into Donors: The Definitive Guide to Facebook Advertising for Nonprofits eBook and something clicked for me. The whole eBook is quite brilliant, and very relevant as I and Shift get more and more into Facebook marketing and online advertising, but the big ‘aha’ moment was this: my donor funnel is upside down. The typical marketing funnel assumes that many people will see our initial offer, so the “top” of our funnel is the widest point.As the prospects progress towards the conversion (at the bottom of the funnel), many will fall off, which explains the shrinking size of the funnel. This is how the donor funnel normally looks. 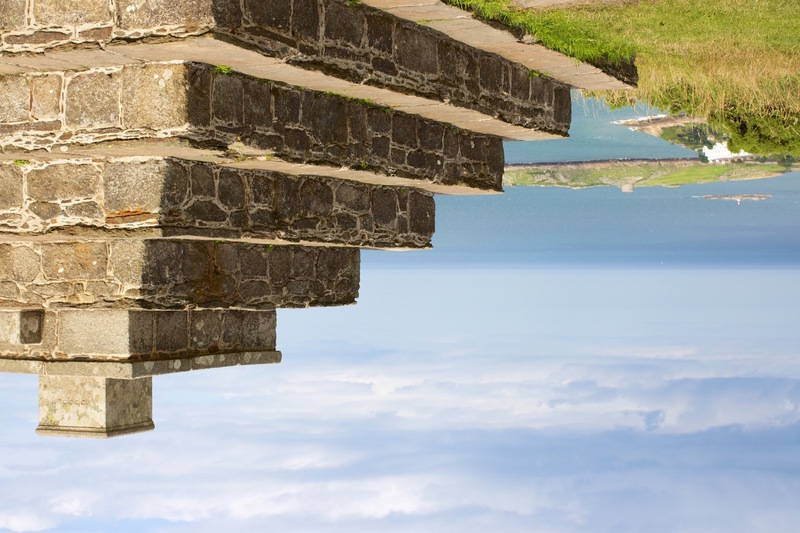 Prospects aren’t falling into our funnel — they are falling out! I don’t know many marketers who would describe their job as “easy.” It takes a lot work to get (and keep) a prospect’s attention and convince them to become a donor to your organization.Natural market forces (gravity, in this situation) work against us, not for us.That’s why the inverted funnel, or “donor mountain” (as we call it) is a much more accurate analogy for what is actually happening. See, when it comes to marketing a cause, we aren’t selling something people inherently want or something they even need (not in an easily identifiable way at least). So instead of people falling down a marketing funnel in search of a solution to a problem or trying to scratch an itch, they need to be compelled, pulled, and inspired all the way up the donor mountain. It’s why getting a ton of traffic to a website doesn’t just lead to more donors automatically. Why more Facebook ‘likes’ doesn’t lead to more engagement necessarily. Or more video views means more donations inherently. 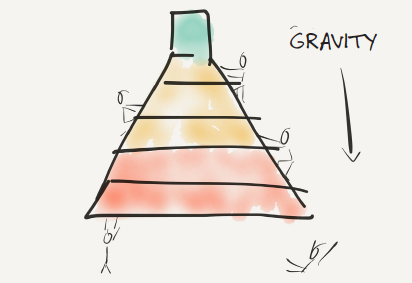 Because those tactics might stuff the top of the funnel but without a proper understanding of the donor’s journey, gravity will just take hold and they will fall back out quicker than you can say ‘inverted donor funnel’. 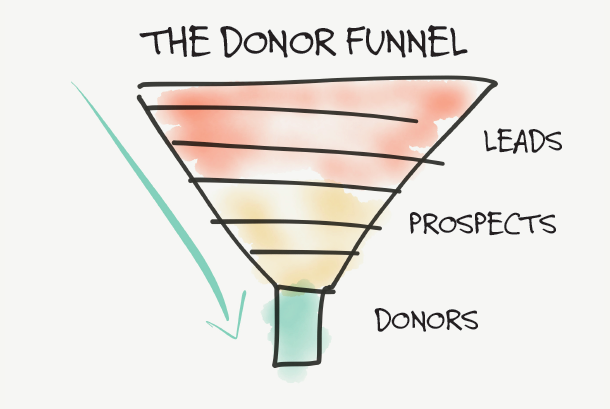 So What Does An Inverted Donor Funnel Mean For Your Fundraising? That also comes from the NextAfter guys but the equation says the Net Force (Nf) comes from the perceived value force (pVf) minus the perceived cost force (pCf). The key word here is ‘perceived’. It’s not even about actual value or costs but the perception of values and corresponding costs. Reducing the perceived costs and friction is the easier part of this equation, in my opinion. It’s more of the science and optimization in fundraising where you can get real gains by limiting form fields, not focusing on beauty, and asking for opinions before asking for money. Increasing the perceived value is harder. It’s more of the art. And it helps to know why your current donors support you and think your organizations’ value outweighs the costs of giving. And what’s great about nonprofit value propositions is that they are almost entirely intangible. They are emotional, values based offers. Which means you don’t need to build a new watch, tech platform, or ridiculous glasses to figure out what people want. You can just… sort of… talk to them. When we realize that the donor funnel is really inverted and has a gravitational pull, taking donors out from the bottom, we have to work extra hard to inspire and motivate donors to give – all the way through the donor journey. And then we need to work extra hard to reduce the barriers and friction standing in their way from giving. So we basically need to just work extra hard.